GST rates on under-construction houses maybe reduced from 12 pc with input tax credit to 5 pc without ITC. Similarly, the rate for under-construction affordable houses could come down to 3 per cent without input tax credit, from the current 8 per cent. 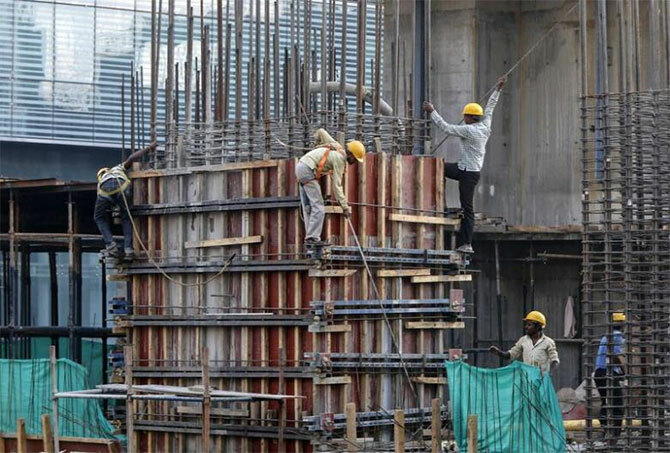 At its first meeting in New Delhi, the panel, headed by Gujarat Deputy Chief Minister Nitin Patel, favoured lowering of GST rates on under-construction houses, from 12 per cent with input tax credit (ITC) to 5 per cent without ITC. Similarly, it pitched for reducing the rate for under-construction affordable houses to 3 per cent without input tax credit, from the current 8 per cent. GST, however, is not levied on property for which completion certificate has been issued at the time of sale. There have been complaints that builders are not passing on the ITC benefit to consumers by way of reduction in price of the property, after the roll-out of GST. Any cut in GST should reduce the adverse impact on the land abatement rate, which is 33 per cent under the present system. “The composite rate of 5 per cent will not only address the imbalance under the present regime -- which applies to under-construction projects but not to completed units -- but also free the industry from the requirement of filing monthly returns to avail ITC, which is cumbersome,” said Jaxay Shah, president of industry body Credai.